Local Foods in Schools Made Possible by Nutrition Policy – learn more and take action today! The much politicized nutrition standards for school meals are deemed by some to be overreaching and ineffective, while proponents see them as meaningful goals that promote healthy lifestyles. One perspective is that the school lunchroom serves as another classroom on campus, with food and nutrition as the subject. And, just as high standards exist for other academic courses, so too are standards in place to guide the subject of lunch. While Sustainable Food Center does not work directly on school meal nutrition standards, we do work on school food policy through a number of related issues. SFC works closely with local and state officials and advocates on Farm to School issues, which can increase the availability of local foods in schools and can help develop new market outlets for local farmers. On the federal front, we often take our policy cues from aligned organizations, such as the National Farm to School Network (NFSN) and the National Sustainable Agriculture Coalition (NSAC). The 2010 Child Nutrition Reauthorization Act, also called the Healthy, Hunger-Free Kids Act, set the new, embattled school meal standards. SFC worked alongside NFSN, NSAC, and other allies to include the USDA Farm to School Grant Program in that legislation. With the reauthorization process for the child nutrition act set to get underway in Congress soon, NFSN and NSAC are leading the way to include the Farm to School Act of 2015, which will build on the successes of the Farm to School grant program, broadening its availability and impact. Info on showing support for this Farm to School program is included at the end of this article. Meanwhile, back at the local level, SFC staff have served as consistent members, and even as chair, of the Austin ISD School Health Advisory Council (SHAC). Through our involvement with the SHAC, we worked with other partners to rally support for a pilot Farm to School program in the Austin district. The pilot program has expanded greatly in recent years and is set to grow even more with guidance from district leadership and input from SFC and other stakeholders. At the state level, SFC published the policy paper that helped establish the Texas Interagency Farm to School Task Force, created by legislation authored by Senator Kirk Watson in 2009. As a follow-up, SFC participated as a member of the task force, encouraged the creation of a Farm to School staff position within Texas Department of Agriculture, and conducted research about other successful programs around the country. In the most recent legislative session, SFC worked closely with Rep. Eddie Rodriguez and his staff to draft the Farm to School Community Connections bill (HB3290). This bill would have provided incentives for schools to purchase local foods and conduct local food education programs. While it didn’t pass this time around, we’re hopeful for future support. SFC will keep folks up to date on local and state policy issues related to Farm to School through this newsletter. We also invite you to get involved in your campus or district health advisory groups. 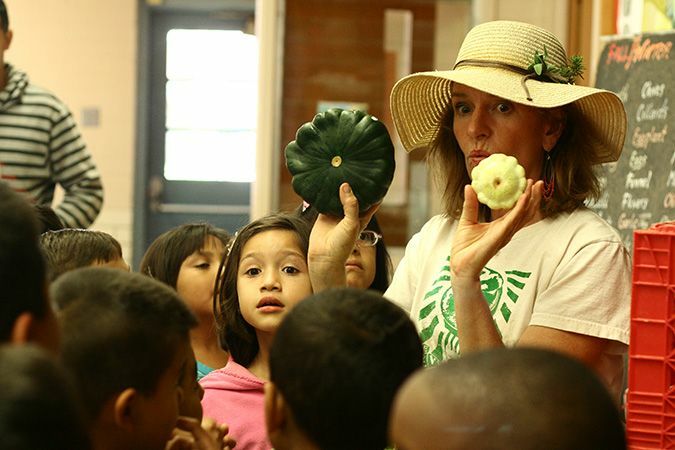 Today, you can show your support for the Farm to School Act of 2015. Click below to learn more: http://www.farmtoschool.org/cnr2015, and consider signing onto the support letter as an individual or as a representative of a school, business, or advocacy group.